The Department of Medicine has a true commitment to research and scholarly activities. As part of this commitment, it has established a Residency Research Program that is under the direction of the Associate Program Director for Research, Dr. Joseph Timpone. 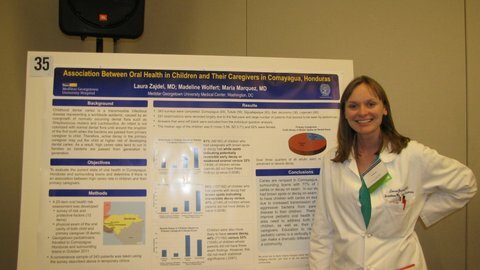 As part of the residency training, all Categorical Medicine and Combined Medicine-Pediatric residents are required to present a research/scholarly project prior to the completion of their training. To this end, residents are permitted to use up to 3 months of elective time to perform research. Residents will have the opportunity to meet with the Program Director and the Associate Program Director to determine and discuss their particular research interests and then be linked with an experienced faculty mentor. The Department of Medicine receives substantial funding from both the NIH and the pharmaceutical industry. In 2010, Dr. Joseph Verbalis, Chief of the Division of Endocrinology, was granted a Clinical and Translational Science Award (CTSA) in collaboration with Howard University Hospital in the amount of $38.2 million. The mission of this award is to provide training and resources for investigators to enhance their community engagement and research skills, and to engage community-based practitioners in collaboratively conducting clinical and translational research. The CTSA also provides funding for an inpatient clinical research unit (CRU) where research can be conducted. The CRU provides nursing staff statistical support, phlebotomy services, as well as other services for investigator-initiated research projects. As a member of the Department of Medicine, a resident can apply for the use of these services. Visit the CTSA website for more details. 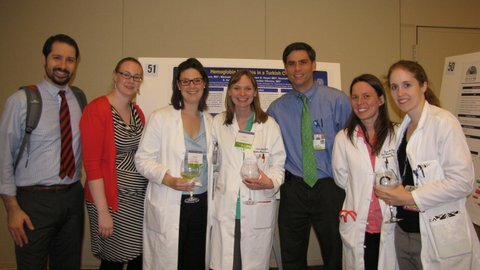 In 2011, the Department of Medicine issued its first round of grant funding for resident projects. Residents are eligible through yearly competitive grant funding cycles for awards up to $3,000 to support their projects. The Department of Medicine also provides travel funding for residents who submit abstracts to national conferences and are invited to present their work. 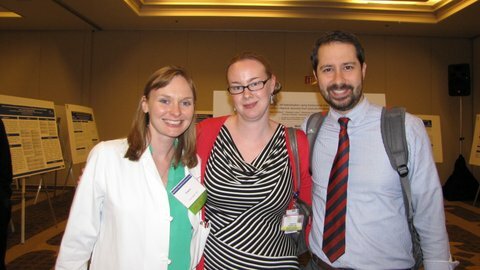 Approximately 10 residents have abstracts accepted at national meetings annually. The Department of Medicine encourages participation in the regional American College of Physicians (ACP) Associates’ Day Research Competition. Every year approximately 15 residents represent the Georgetown program at this exciting venue. As a result of donations made by patients of Dr. Charles Rackley, former Chair of the Department of Medicine, the Department has been able to fund an annual Research Day which showcases the research work that has been completed by medical students, medical residents, fellows, post-doctoral fellows, and junior faculty members. Research Day includes a keynote speaker, as well as a poster competition that is judged by teams of faculty members from the Department of Medicine. This event takes place every May and $1,000 cash honorarium is awarded to each first place winner in their respective category. The winners from Research Day are also invited to give an oral presentation at a subsequent Department of Medicine Grand Rounds. Although medical education and patient care are the most important aspectsof the residency training program at MedStar Georgetown University Hospital, our program offers many exciting opportunities for the medical house staff to participate in clinical research. If you have more questions regarding the residency research program, please feel free to contact Dr. Joseph Timpone.